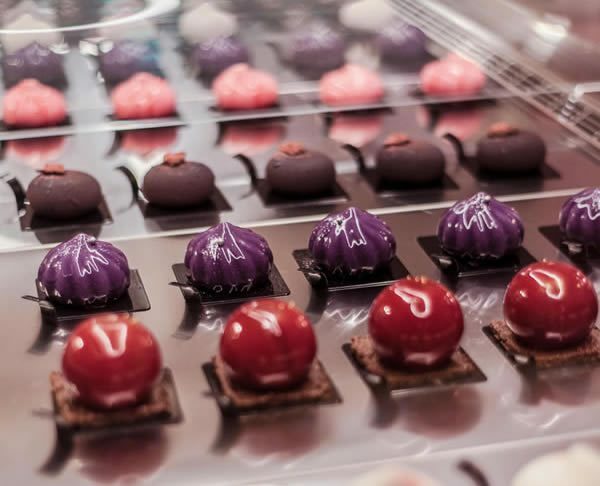 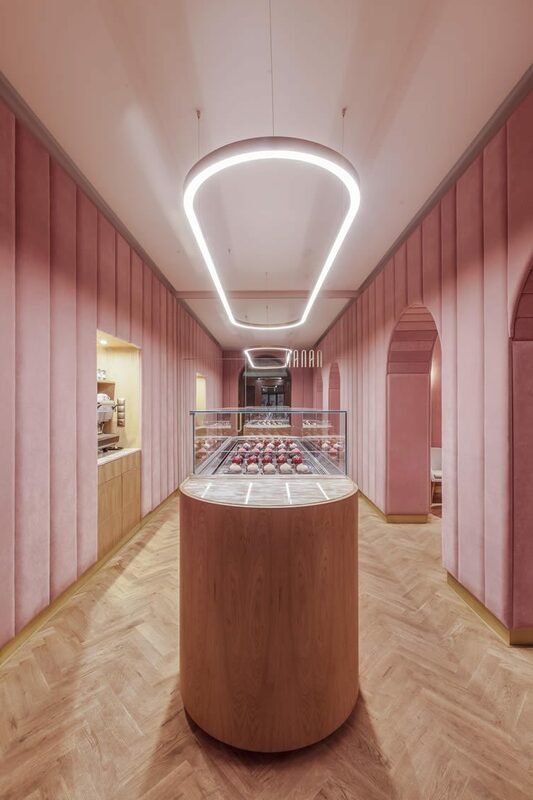 A French word for confectionery or candy, Nanan conjures up images of gooey goodness, youthful delicacies and cakes you really shouldn’t be consuming with such zeal; it’s exactly these images that feature strongly in the design of a sweet new Wrocław patisserie of the same name. 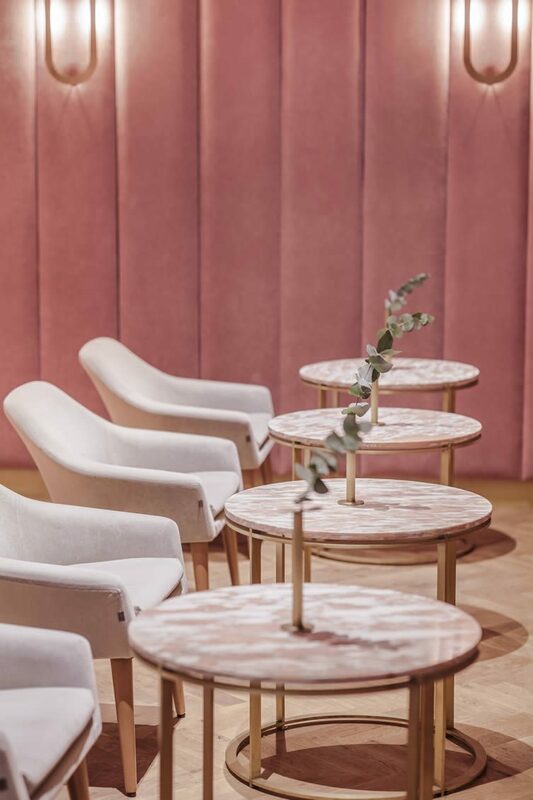 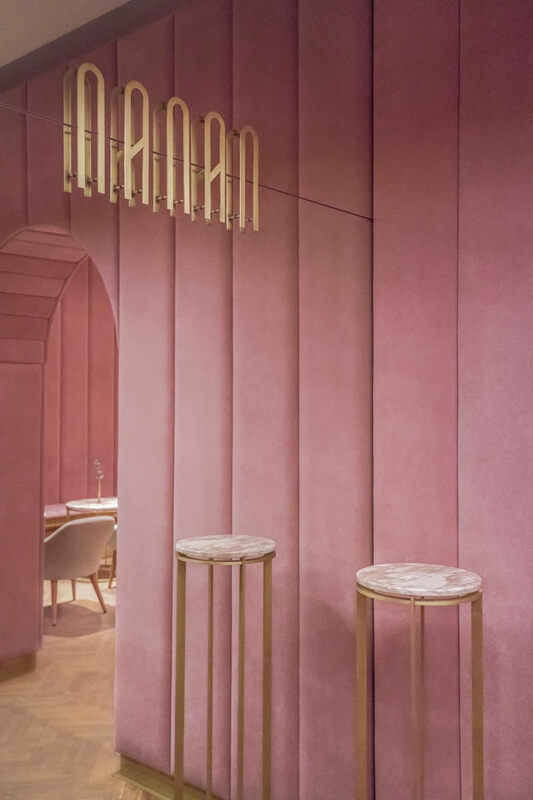 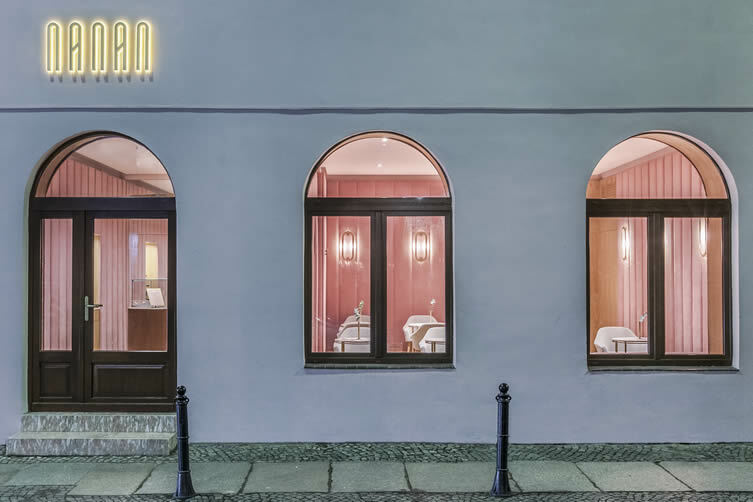 Designed by Polish designers BUCK.STUDIO, Nanan patisserie has been plushly decorated in absolutely oodles of soft pink, with shining brass details and sophisticated lighting. 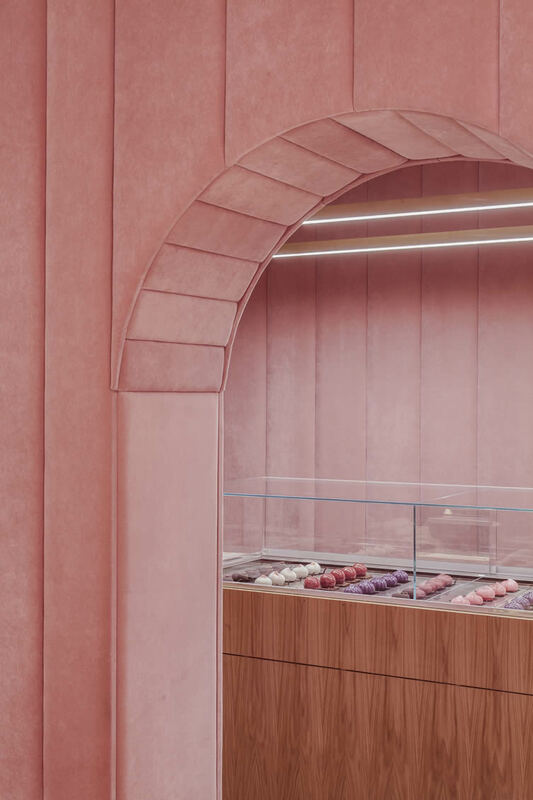 The tiny space may only fit 14 seats, but that’s certainly not deterring the locals of the city that resides on the Oder River; they’re queuing in droves to get their hands on, and mouths around, Nanan’s colourful macarons, cakes, petite pralines, and their signature éclairs. 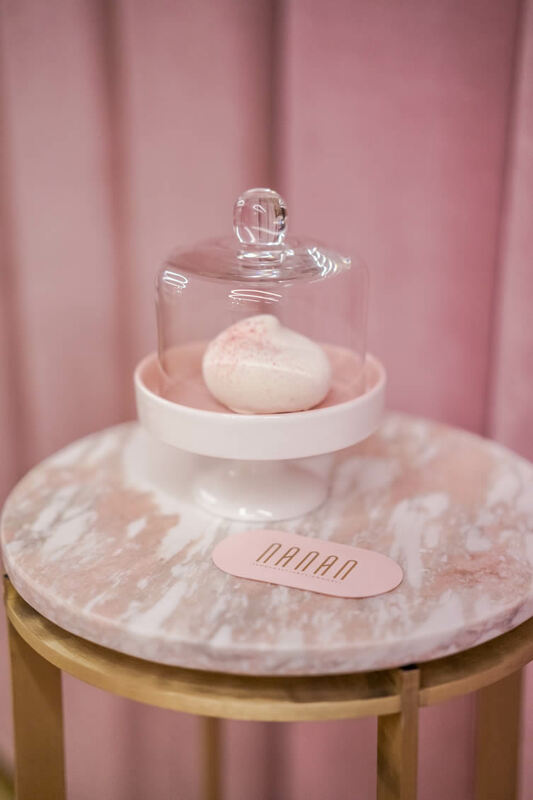 The sweet treats are displayed in all their glory in a central island counter, an oval shape coffer you’d expect to see the Crown Jewels displayed in; chandelier and pendant lighting add an ethereal sparkle to the priceless treats that lie beneath. 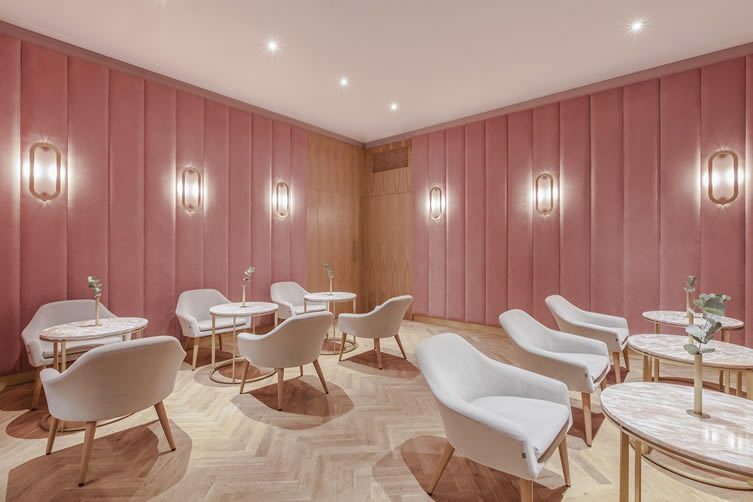 Plush pink padded walls will delight little princesses, whilst an aristocratic dining room provides a place of reverence for those who can’t wait to get their decadent delicacies back to the palace. 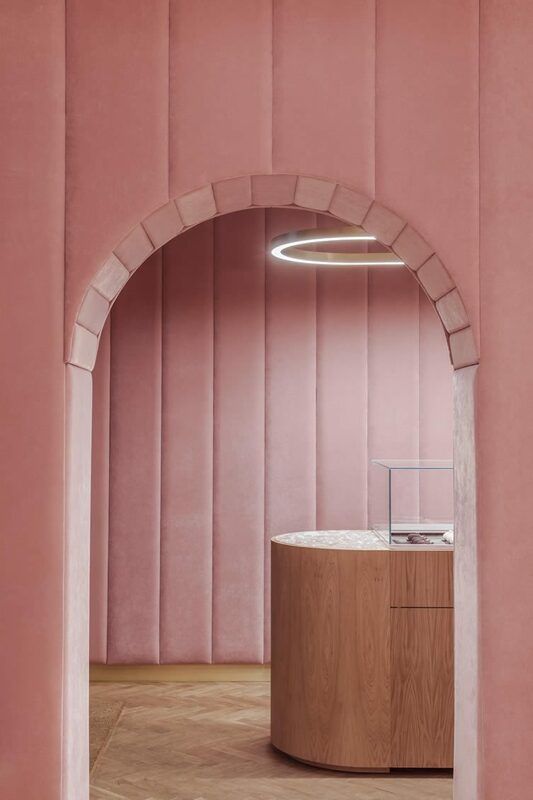 Fairytale stuff indeed.